a) Women who have received a NHS Breast Screening Programme appointment and need to change the time, date or location. b) Women who have missed an NHS Breast Screening appointment and would like to request a new appointment. c) Women aged 73 or over who would like to request an appointment. IMPORTANT: Women under the age of 47 will not be sent a appointment if they submit this request form. If you are concerned about any breast symptoms please make an appointment to see your GP as soon as possible and your GP will refer you to the appropriate clinic if necessary. Why are you changing your appointment? Please tick your preferred screening site(s). Please tick your preferred day(s). If you have no preference please leave blank. Please select your preferred time of day. If you have no preference please leave blank. This is the reference number on the top right hand side of your invitation letter. If you wish, you can include any other relevant information here. I understand that if I have any concerns about the health of my breasts that I should make an appointment to see my GP as soon as possible. At your screening appointment a female mammographer will explain breast screening to you and ask you a few questions. She will then take the x-ray by compressing your breasts, one at a time between two special x-ray plates. The compression only lasts a few seconds and there is no evidence this harms the breast. Compression is needed to keep the breast still, in order to get the clearest picture with the lowest amount of radiation. 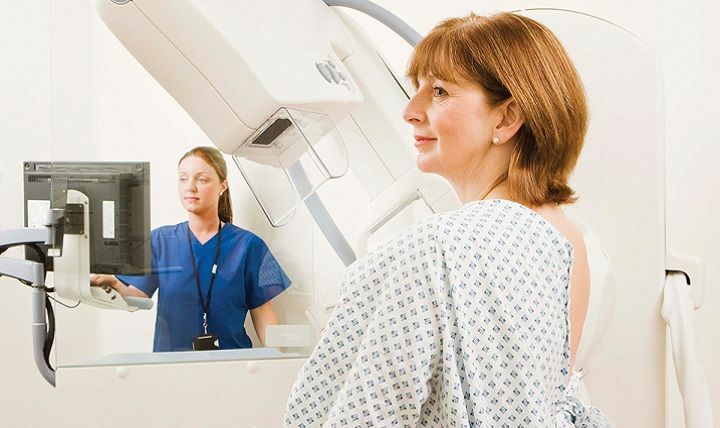 Some women find mammography uncomfortable and some find it painful as the breasts have to be held firmly in position and pressed to take a good x-ray. If you do experience pain it usually only lasts as long as the mammogram although it may continue for some time in a small number of women. Please do not use talcum powder or spray-on deodorant on the day you go for breast screening as this may affect the quality of your mammogram. One in nine women will develop breast cancer at some time in their life. 80% of breast cancers occur in women over 50. The risk of breast cancer rises as women get older. This is why the breast screening programme only targets women in this age group. Breast Screening can help to find small changes in the breast before there are any other signs or symptoms. Early detection may mean simpler and more succesful treatment. The invitation is sent out automatically, so there is no need to phone and make your own appointment. All women will receive their first invitation for a mammogram sometime between their 50th and 53rd birthdays.We invite doctor’s practices for screening in turn, so women will not necessarily get their invitation in the year that they turn 50. As long as you are registered with a GP, you will receive an invitation before your 53rd birthday. Some women over the age of 70 will still receive an appointment for screening. If you do not receive a further appointment please telephone to book an appointment. We screen at a number of convenient places across Warrington, Halton, St Helens and Knowsley. Find out where.